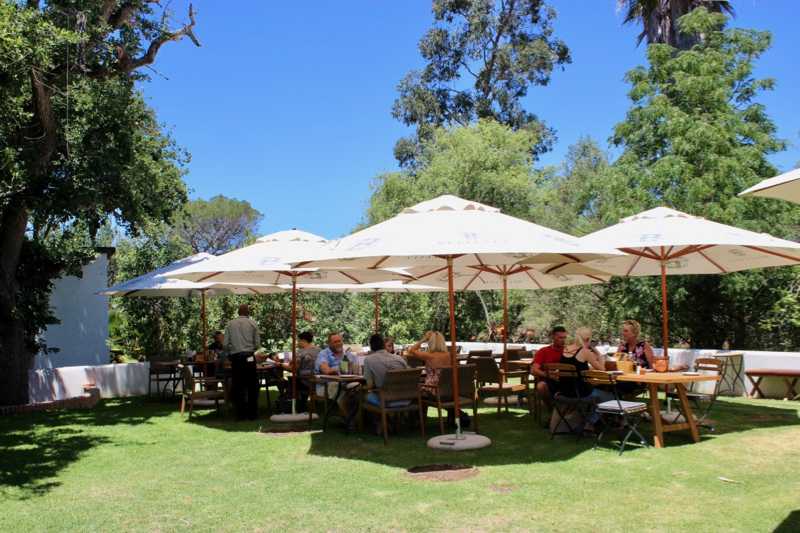 Last Sunday we headed out to enjoy an afternoon in the winelands – one of our fave ways to spend a day! 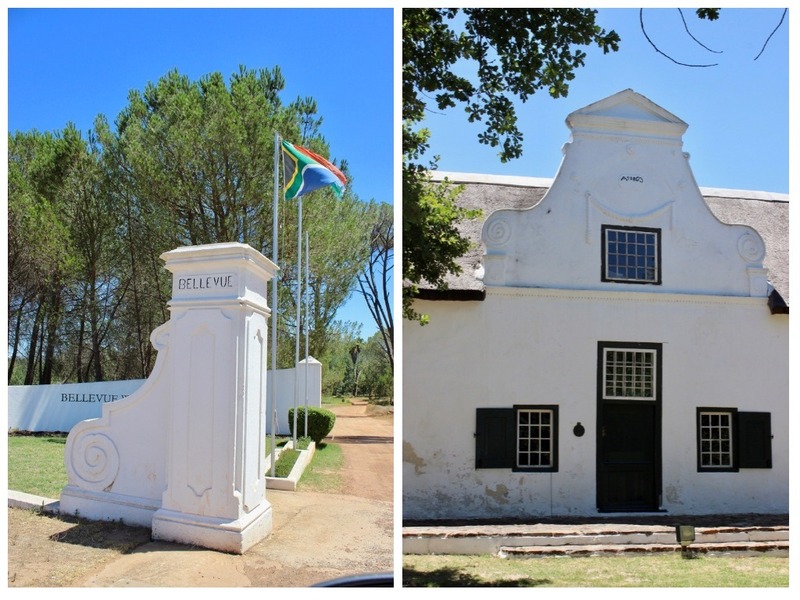 This time we set our Google Maps destination to Bellevue Wine Estate and we hit the N1. 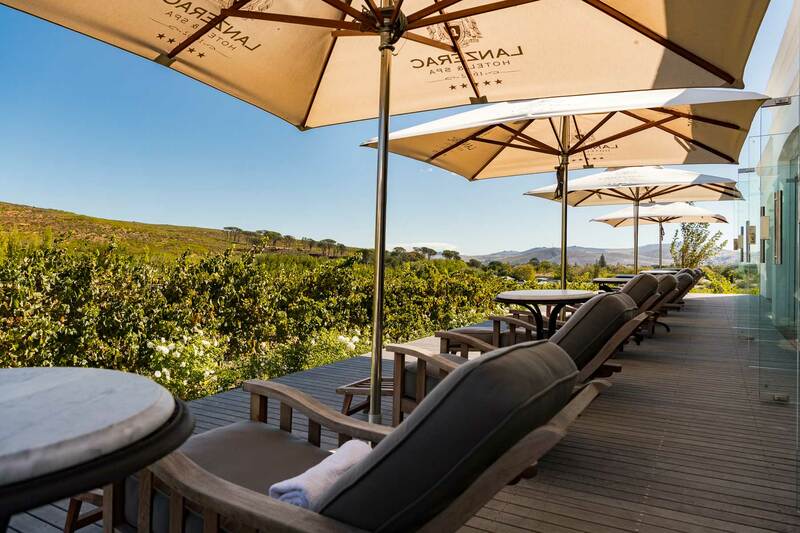 Located on the Bottelary Road, near to our special Mooiplaas, we are well versed in this neck of the winelands but had yet to explore this particular wine estate. 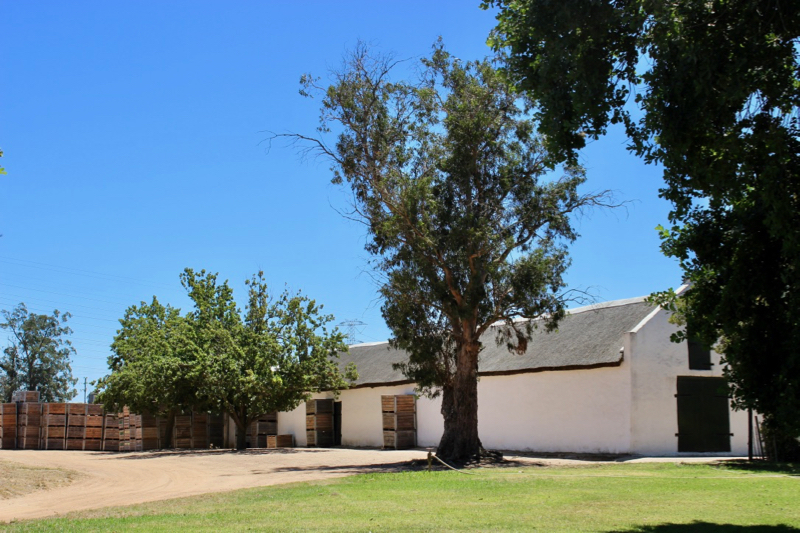 The original Cape Dutch homestead on Bellevue Wine Estate was built in 1803 and has been declared a National Monument. 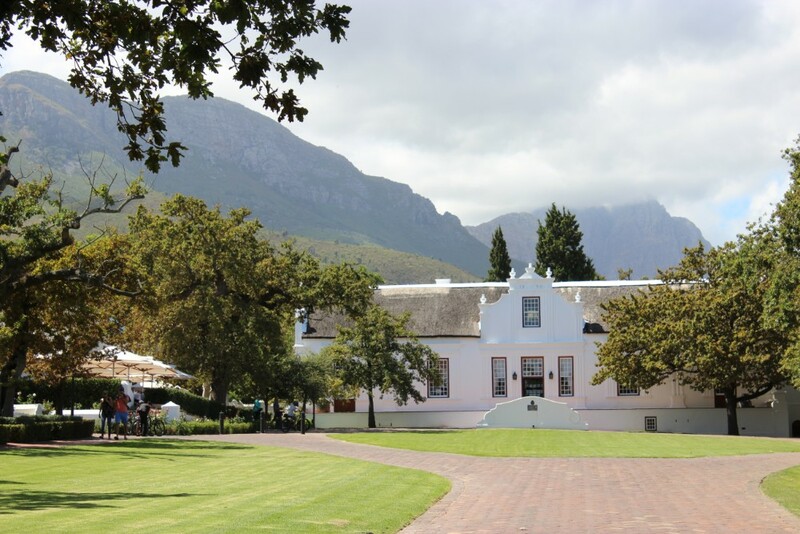 Together with the historical home, there is also a signal cannon which formed part of the important defence system of the original Cape Colony. 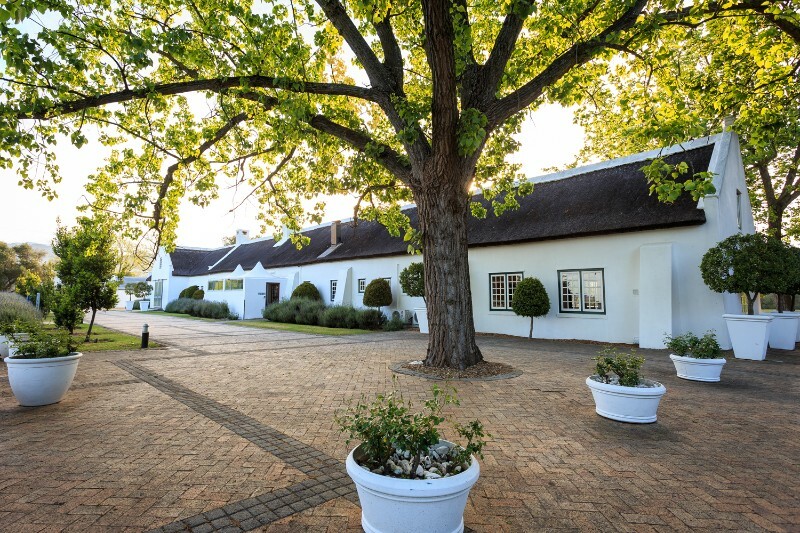 I didn’t get enough time to find out more about the history of the estate this time as this visit was more about the food and wine, but it certainly seems to be one to find out more about! I love discovering the fascinating history of this part of the world. What we did do well on this visit was to relax! 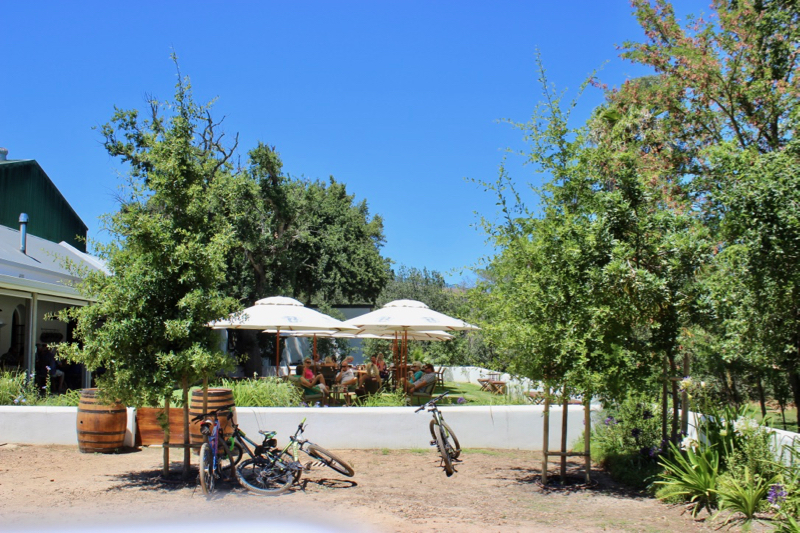 Bellevue’s restaurant is laid-back and family-friendly, with kids riding bikes around the estates dirt roads and clambering over the jungle gym located in a shady spot within sight of the tables. 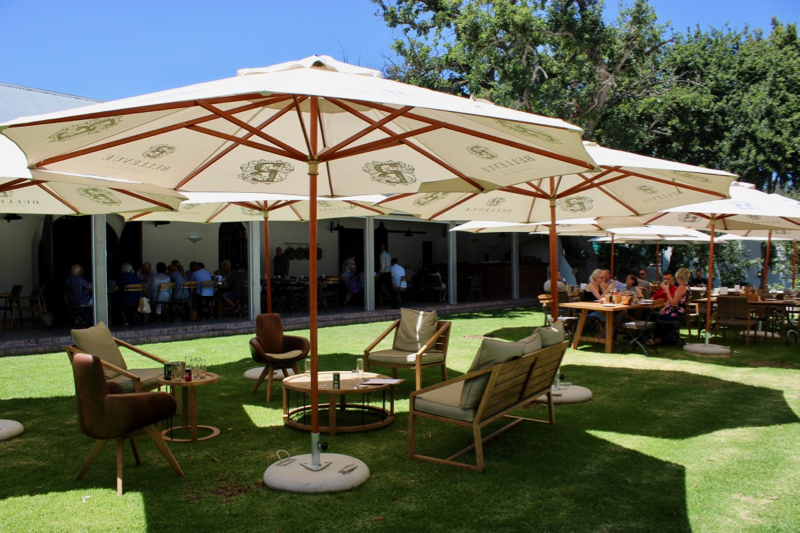 Our table was set under the wide veranda overlooking the grass and additional seating for those who wanted to linger longer…. My husband, The Wine Amateur, immediately set himself up at the wine tasting bar inside the cool cellar to taste his way through the wine tasting list. A refreshingly tropical fruits of pineapple and litchi on the nose with a well balanced acidity. A steal at R60 a bottle. Perfect for this 35 degree day! My preference is for a slightly wooded chardonnay, but recently the unwooded chardonnay I have been sampling have really grown on me. This is certainly one of them. Apple, peach and pear on the nose follow through to a silky palette. Delicious! Red is my preferance, and this Cinsaut made an impression. A medium body red with an initial toasty note which gave way to subtle lolipop, vanilla and pepper on the nose following through perfectly with an easy silky spiciness and fresh minerality. This Bottelary Road hosts some of my favorite wine farms, producing outstanding reds. This Shiraz was delicious. White pepper, mocha and wood smoke accompany the mulberries on the nose with dark fruits on the palette. 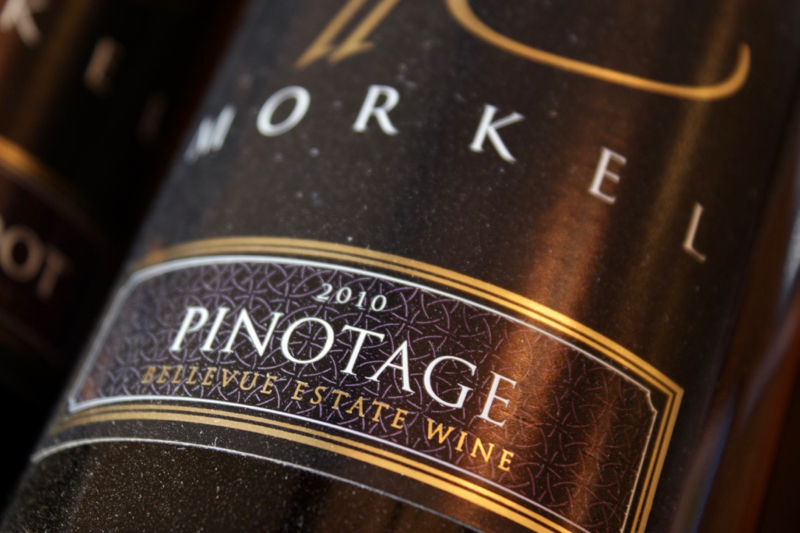 Produced from old, low yielding bush vines and then matured in American oak for 12 months, this Pinotage has a light edge, and produces notes of pepper, cigar, sour cherry on the nose with more intense follow through on the palette with a lingering finish and easy tannins. Made in honour of P.K. 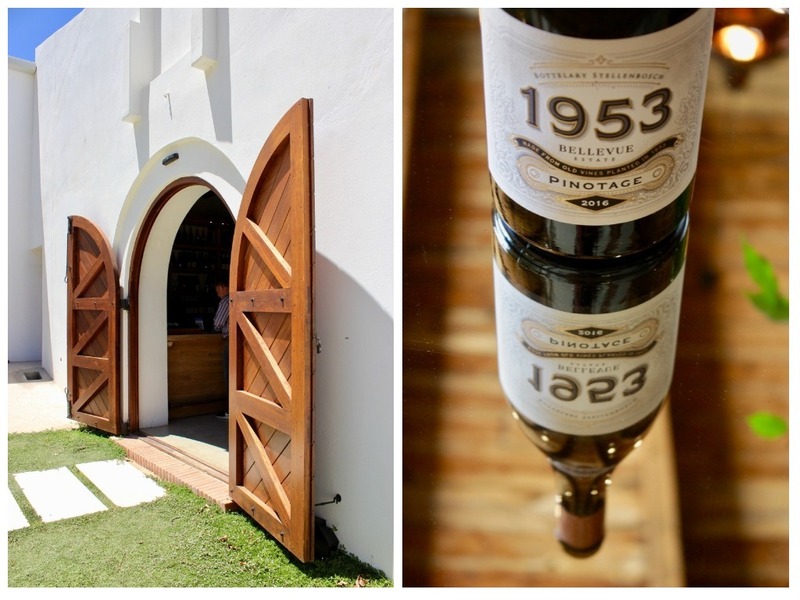 Morkel, who planted Pinotage on Bellevue Wine Estate in 1953, this is a well rounded Pinotage, displaying deep blackberry and plum notes on the nose and lovely integrated oak and subtle tannins to finish. This is a delicious Pinotage! Unfortunately for me this was not available for tasting. 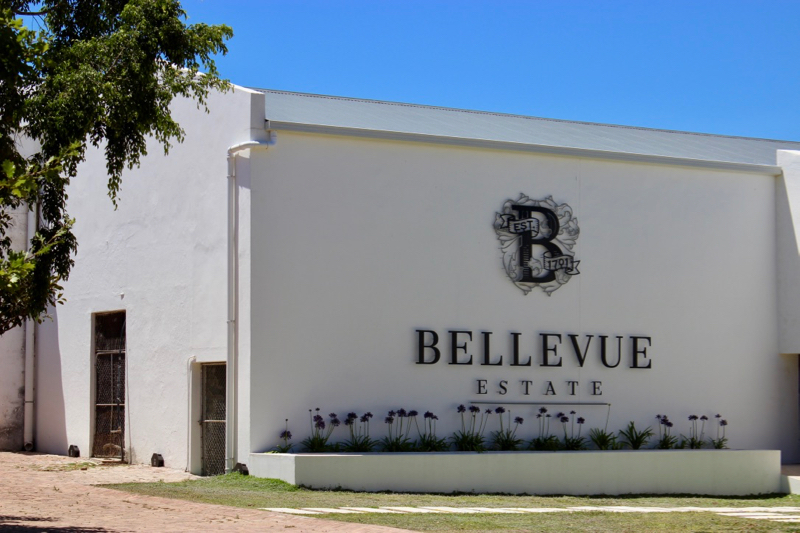 All of Bellevue’s available-for-purchase vintages are showcased in their tasting room and the good news is that visitors are privy to special ‘Cellar Door Prices’ and hassle-free national delivery. Remember to buy direct from the farm when you can! 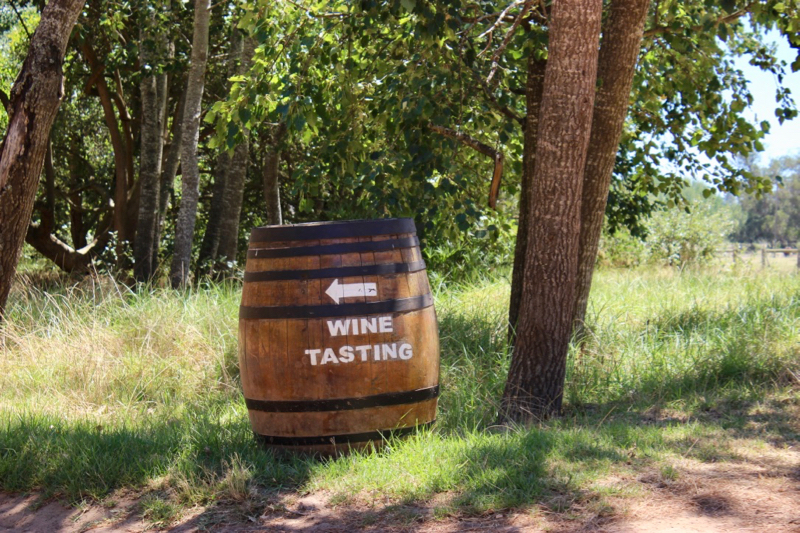 A highlight of a visit to Bellevue is the Pinotage. This grape varietal was first cultivated by Prof A I Perold in 1925 in Stellenbosch when he crossed Cinsaut and Pinot noir. 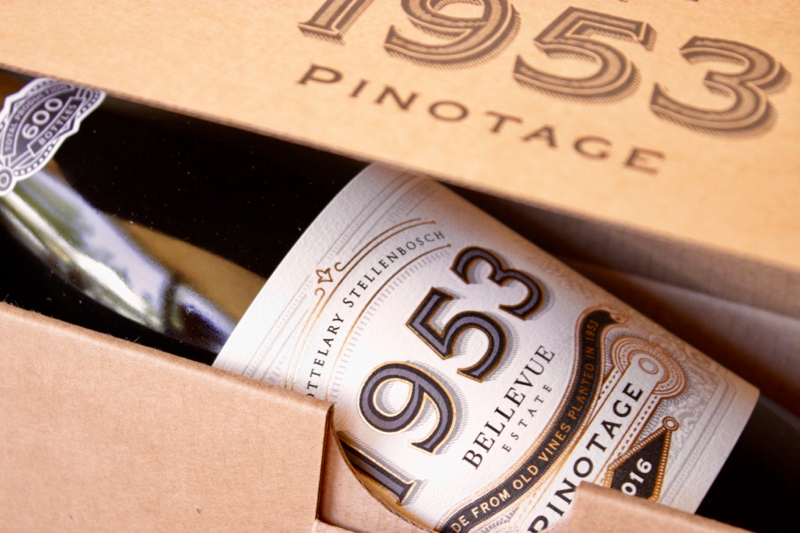 The first Pinotage plantings then made their way into Bellevue soil in the early 1950’s when P.K. 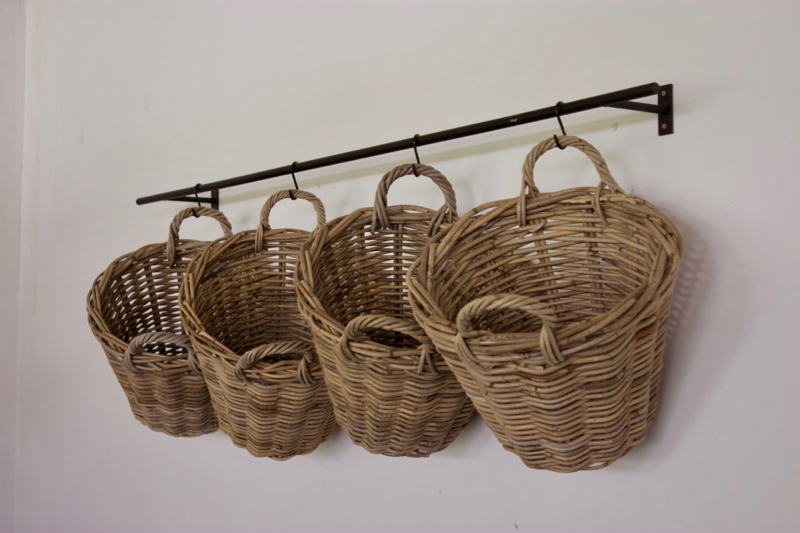 Morkel was attempting to obtain Gamay Noir for planting. 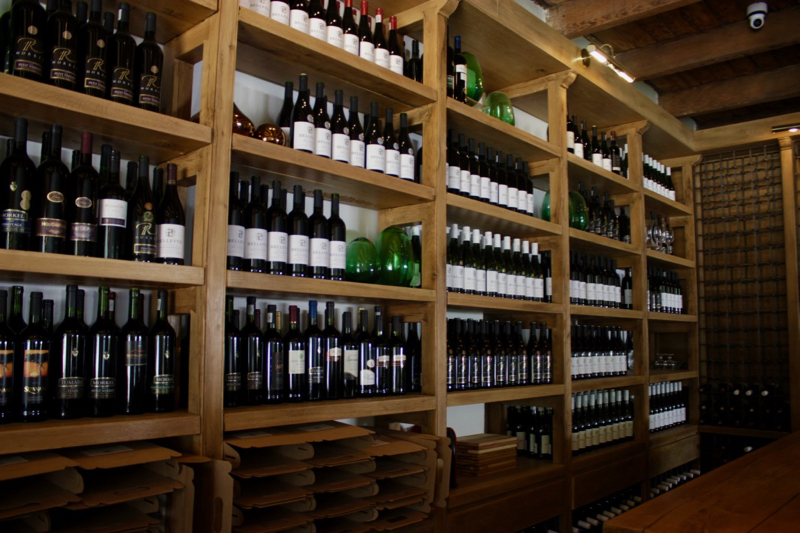 Located in one of the historical wings of the cellar, the newly-renovated restaurant boasts a fresh and modern interior with large leather couches, an oversized terrace and contemporary furnishes. 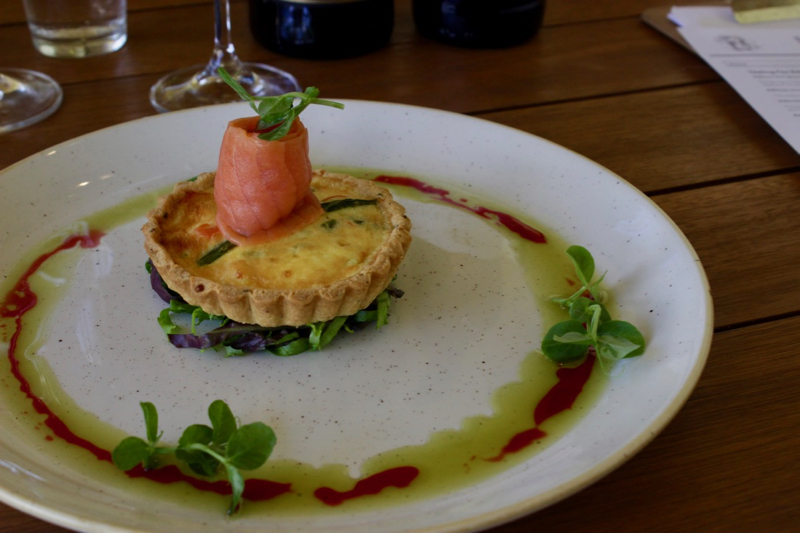 With it’s refreshing, contemporary feel, the restaurant and tasting room offer the perfect place to unwind and enjoy an afternoon of leisure – in a group or as a family of 4 enjoying Sunday lunch. 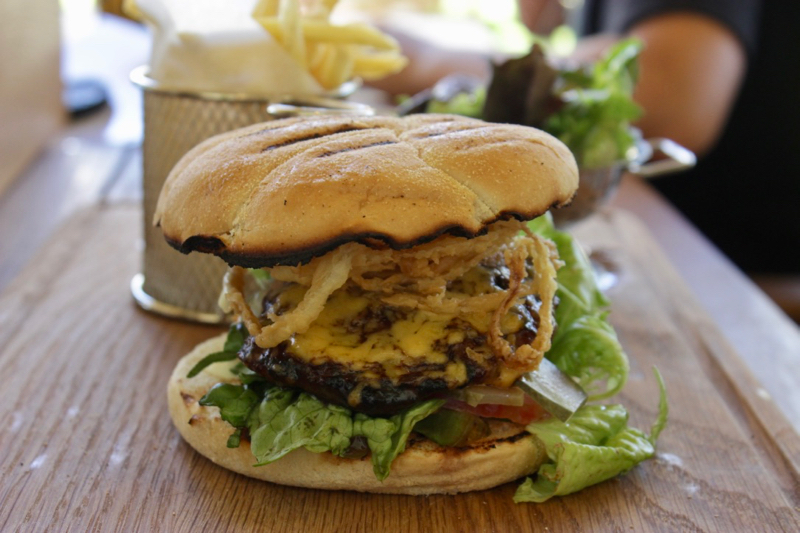 The menu offers a great selection of mouth-watering dishes to suit every taste and pocket: from classic breakfasts to mezze, charcuterie and cheese platters, plus a kiddies menu offering firm favourites such as burgers and pizzas and the always welcome, ice-cream! 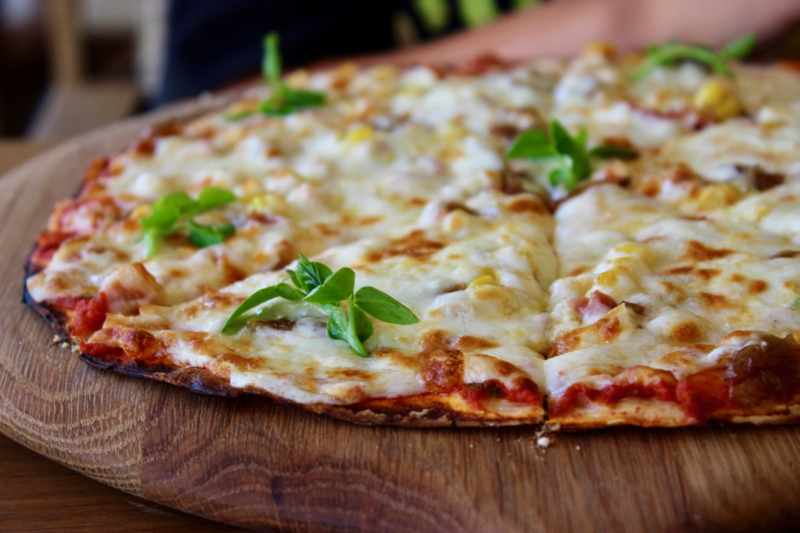 We ordered starters of a Classic Chicken Caesar Salad and a Salmon Quiche while the kids got stuck into their pizza and burger respectively. 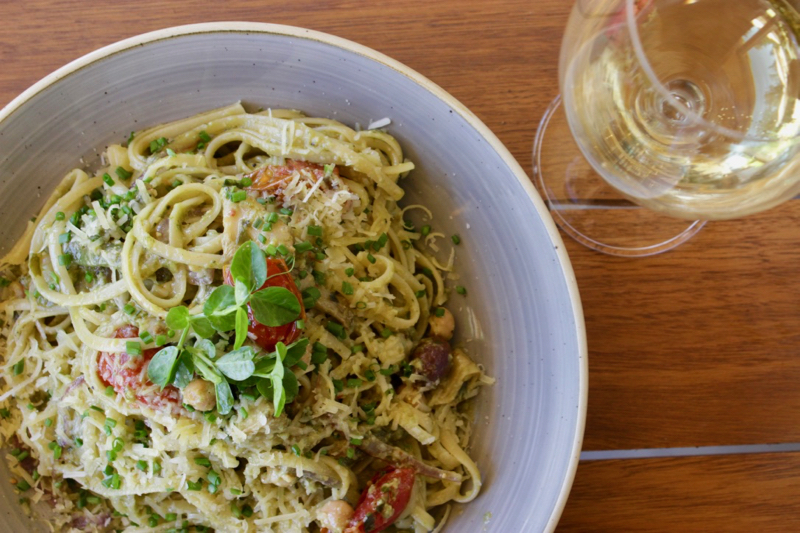 For mains I opted for the Linguine Verde served with garden greens, Kalamata olives, roasted artichoke, summer tomato and pesto which was incredible. 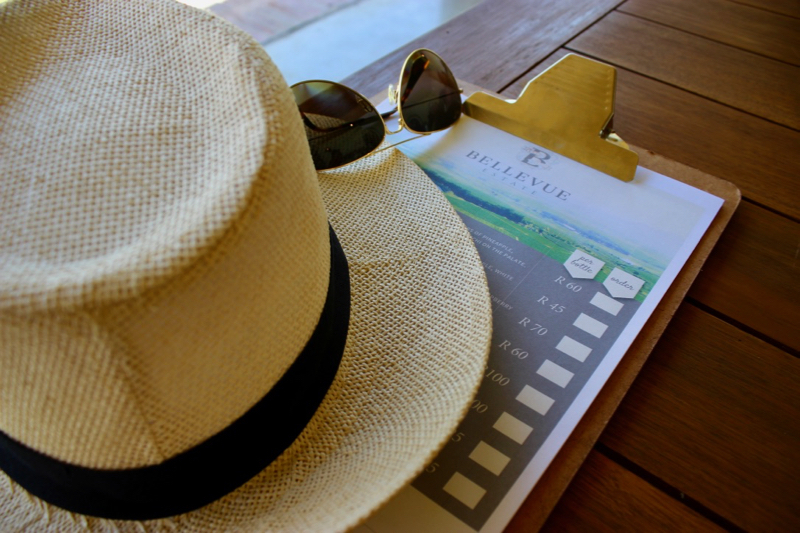 I paired my meal with a glass of the Bellevue Unwooded Chardonnay which was delightfully fresh and light for a summery afternoon. At R45 a bottle it’s certainly one I’ll be stocking up on! 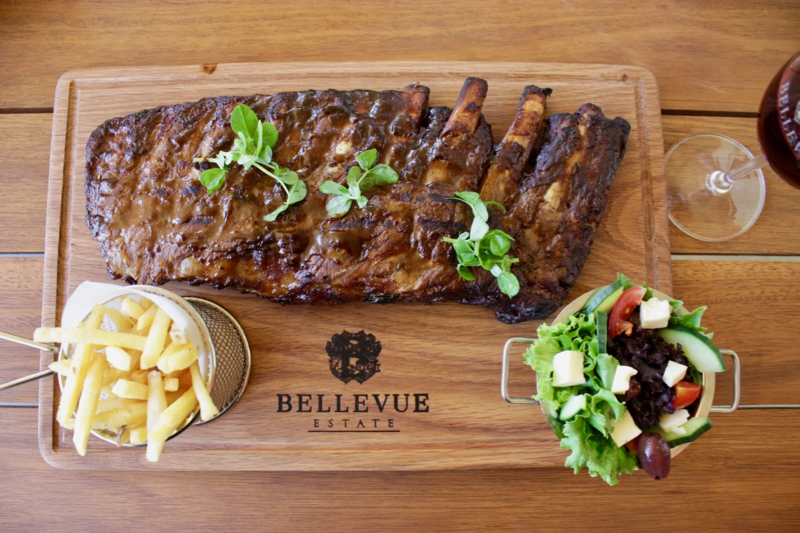 Brad always orders Pork Belly or Ribs if they are on the menu – and he was in luck because Pork Belly Ribs was! 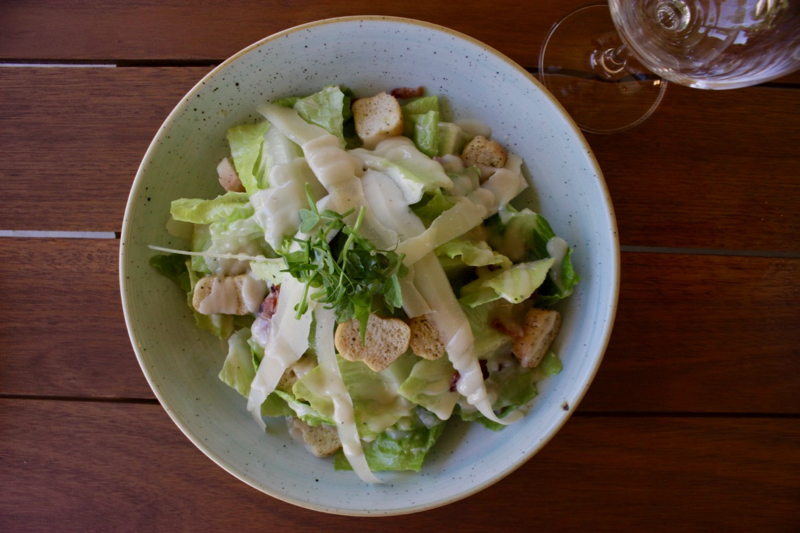 Served with a garden salad and skinny fries he paired his main with a glass of Cinsaut – a medium bodied wine that shows hints of raspberry and strawberry on the palate. All of the dishes served up by Bellevue’s Head Chef, Alfonso, were incredible – full of flavour and beautifully presented. We really couldn’t fault the food at all. 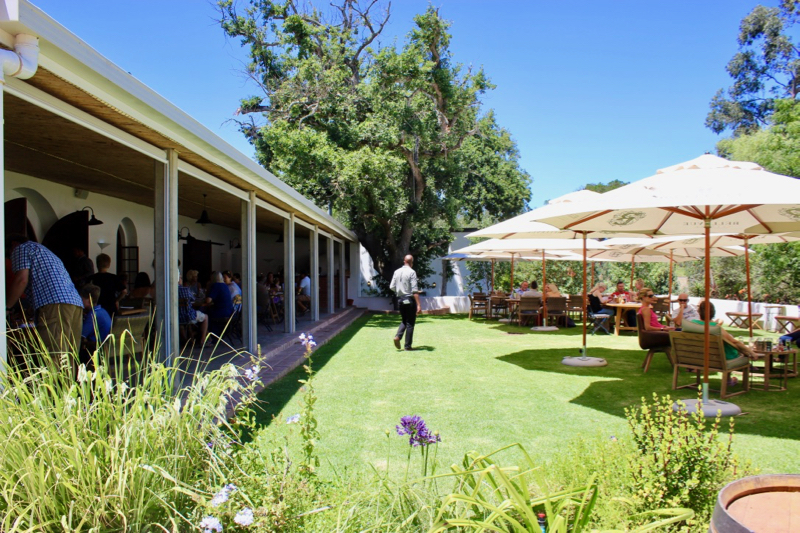 Bellevue Restaurant is a real gem of a find this side of Stellenbosch, and the perfect place for family meals with the kids in tow, with the added bonus of being able to enjoy a fabulous meal and a delicious glass (or two) of estate wine! I can say with confidence that this restaurant is worth the drive. We’ll certainly be back for more!